When I met with Rachel & Jeremy for the first time, I knew right away that they were the kind of couple I'd love to work with! They were both full of energy, and anyone can see that they are truly two halves that make a whole. I love the way that Rachel's face lights up when she hears Jeremy laugh, and the way he looks at her when she speaks. Like many love stories, theirs began at work. Rachel & Jeremy both work at a bank, however they worked at separate branches. One day Jeremy's branch was short staffed, so Rachel was assigned to work at his branch. They had eyes for each other right away, and during one of their first dates Jeremy admitted to Rachel that he told one of his friends that he had a crush on the girl who was covering at the bank. Rachel laughed and told him that she had told one of her friends the same thing. It was only a week after meeting that Jeremy worked up the courage to ask her out. They knew they had something special when they missed their dinner date plans because they were so deep in conversation on Jeremy's back porch for hours and only noticed because it was getting dark outside. Instead of going out like they had planned they ordered a pizza and continued their evening on the back porch long in to the night. Soon they discovered that they just love doing things together. Whatever it may be - cooking, brewing their own beer, traveling, and even enjoying a quiet night at home with Netflix. Jeremy cheers Rachel on at her races (she loves to run), and Rachel watches Jeremy play tennis (I hear he's really good). They support each other's dreams and goals. I asked Jeremy when he knew he wanted to marry Rachel, and this is what he wrote. "I had always heard that somehow you just know but that never really made sense to me. The first time Rachel and I hung out with just each other (we had gotten drinks with a group of friends once prior) we were sitting on my back deck just talking and having a few beers. I think we must have sat out there for a few hours just talking, no tv, no cell phones just good conversation. I remember looking into her eyes while she was talking and at that moment the feeling came over me. I knew she was the one. It was a feeling a had never felt before. The rest is history!" 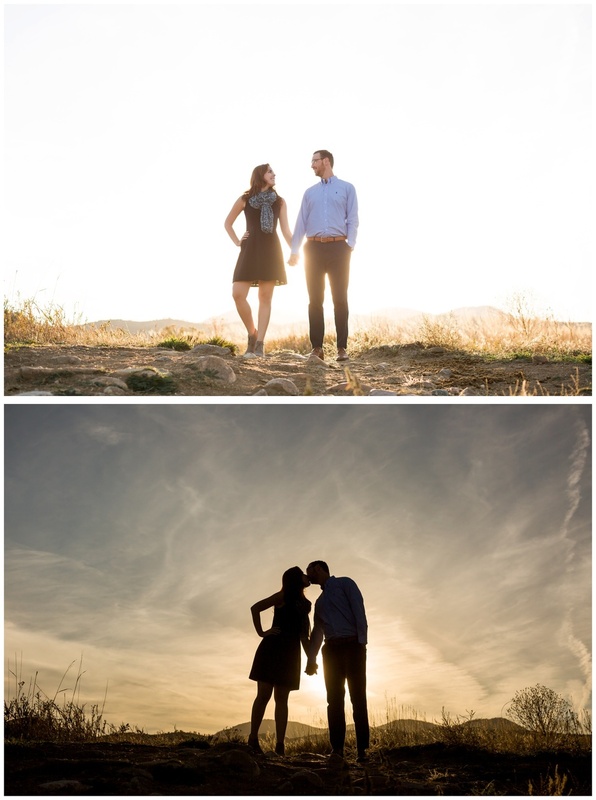 Jeremy and Rachel wanted to have fall engagement photos, so we planned to have their session at Bear Creek Lake Park in Lakewood, Colorado. The leaves were at their peak color in most places. We planned our session just right so that we could take full advantage of that beautiful light coming through the trees behind Rachel & Jeremy before it disappeared behind the mountains. By the way, these two are awesome at snuggling up in front of the camera! A few playful photos from their session. We're never too old to be in love, and bring out the best parts in each other. © 2019 Ashley McKenzie Photography.